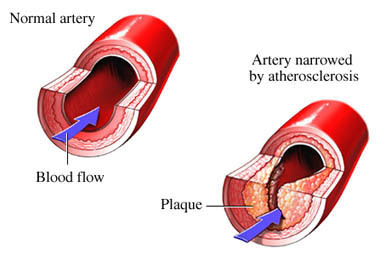 Hypercholesterolemia. EBSCO DynaMed Plus website. Available at: http://www.dynamed.com/topics/dmp~AN~T114250/Hypercholesterolemia . Updated March 5, 2018. Accessed March 26, 2018. 12/14/2009 DynaMed Plus Systematic Literature Surveillance http://www.dynamed.com/topics/dmp~AN~T115449/Dietary-considerations-for-cardiovascular-disease-prevention : Ferdowsian HR, Barnard ND. Effects of plant-based diets on plasma lipids. Am J Cardiol. 2009;104(7):947-956. 8/27/2013 DynaMed Plus Systematic Literature Surveillance http://www.dynamed.com/topics/dmp~AN~T115449/Dietary-considerations-for-cardiovascular-disease-prevention : Hartley L, Flowers N, Holmes J, et al. Green and black tea for the primary prevention of cardiovascular disease. Cochrane Database Syst Rev. 2013;6:CD009934.